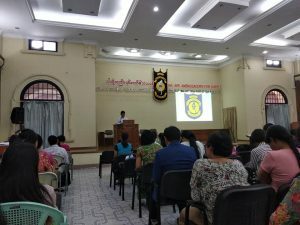 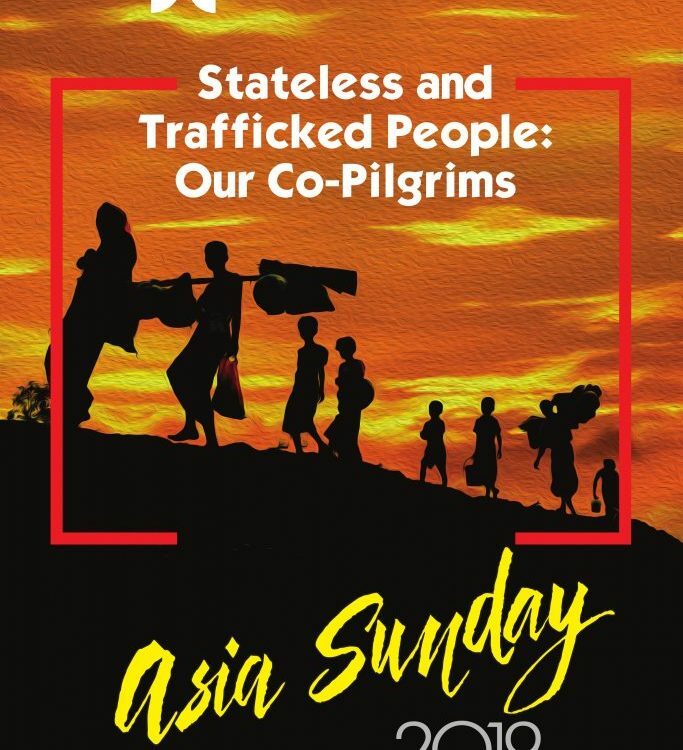 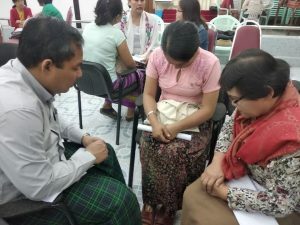 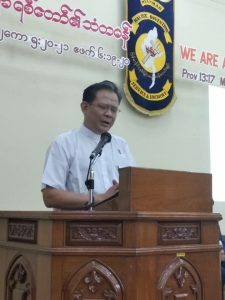 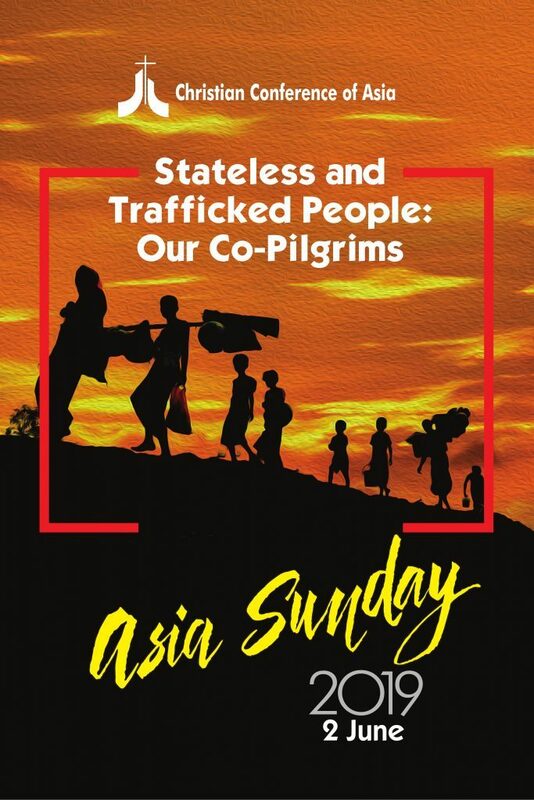 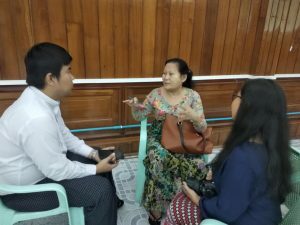 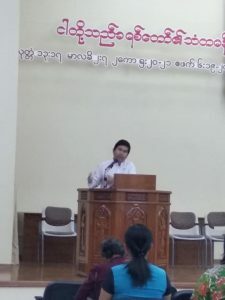 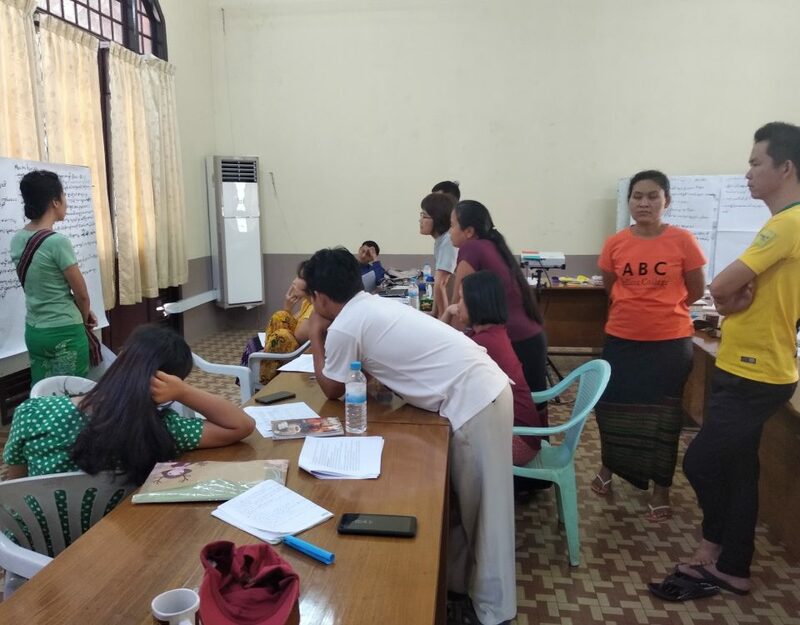 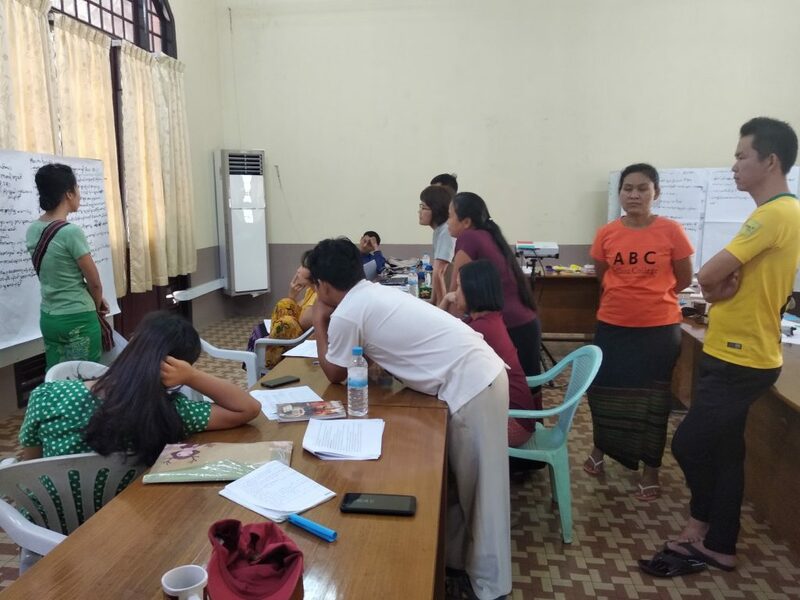 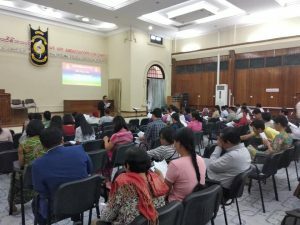 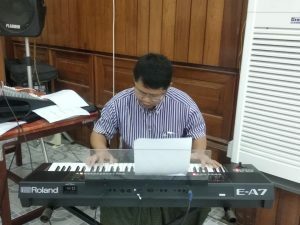 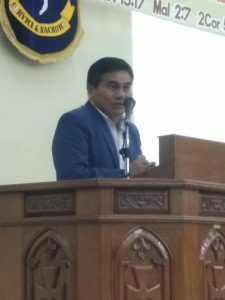 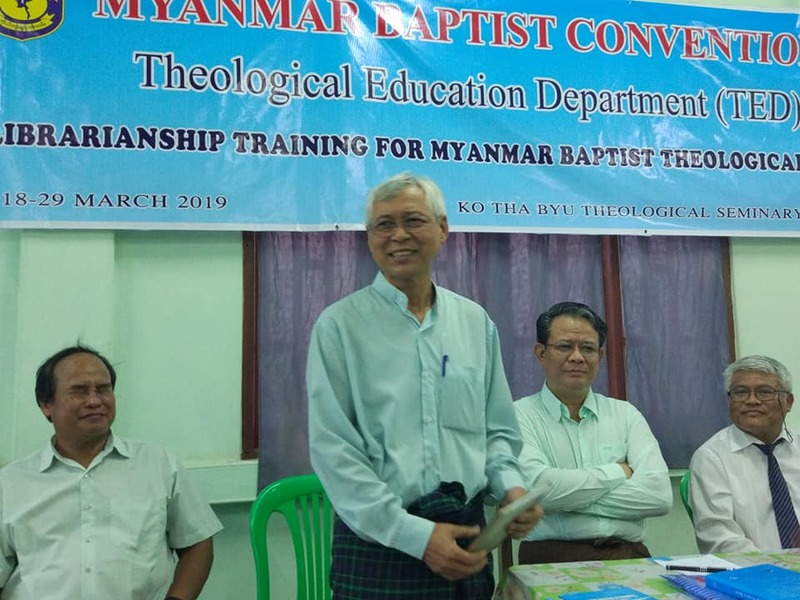 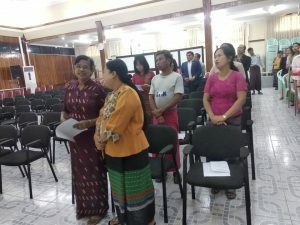 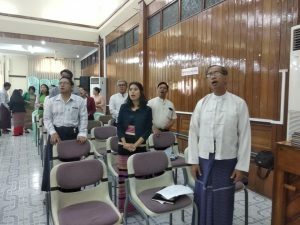 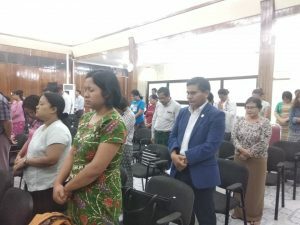 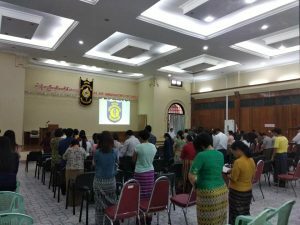 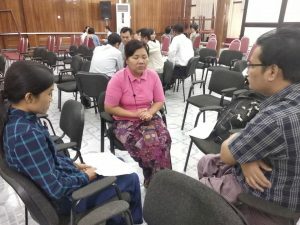 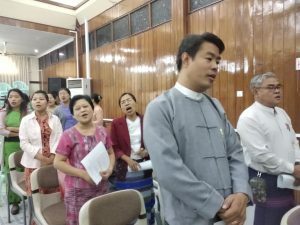 Myanmar Baptist Convention(MBC) has observed its the very first “Prayer Day”on January 31st, 2019 Thursday at Cushing Hall from 9:00 am to 3:00 pm. 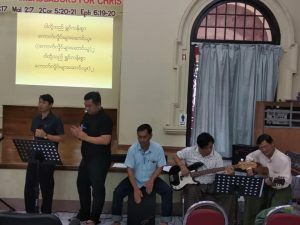 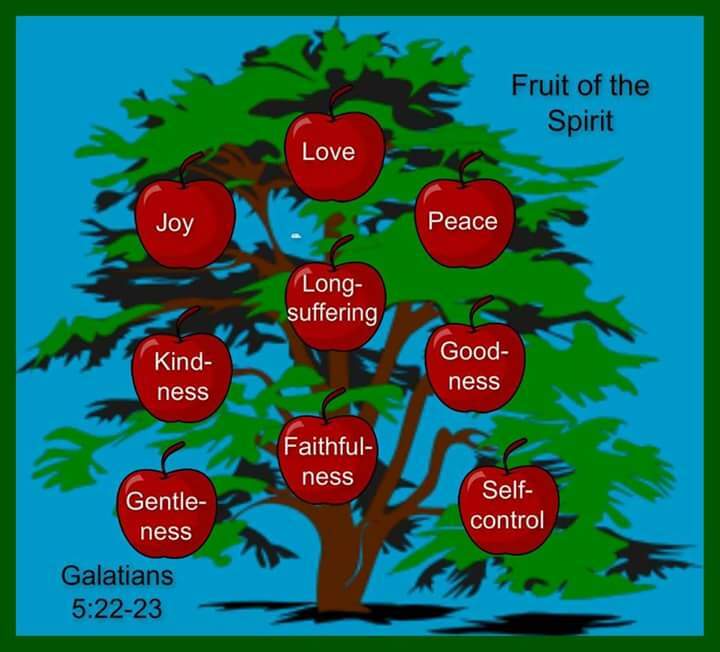 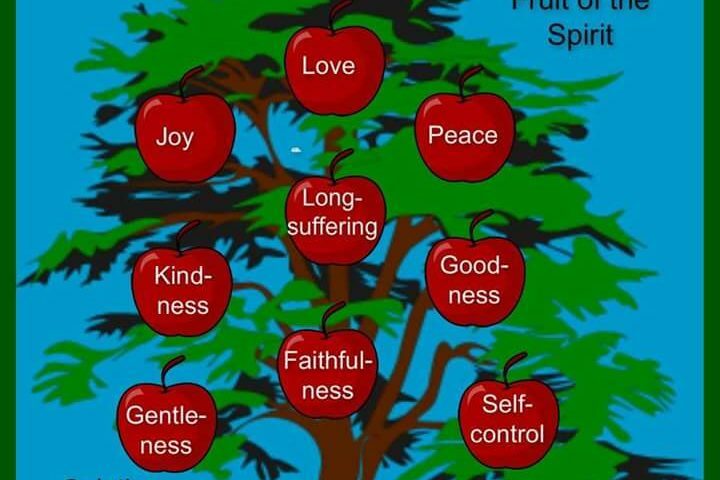 Altogether (81) staff attended and there were singing praise songs, greetings, devotion, core message, Bible mediation, discussion and dedicated prayer. 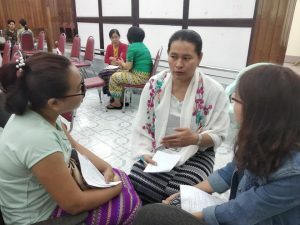 Small groups were divided and there were three people in each group. 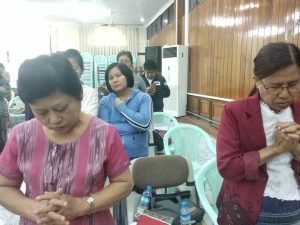 Personal testimonies were shared and prayed for one another within each small group and later prayed for 18 different Language and Regional conventions, Immanuel and Judson Church respectively. 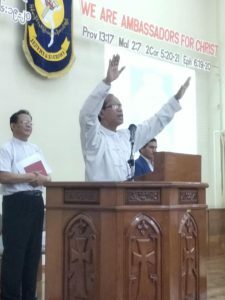 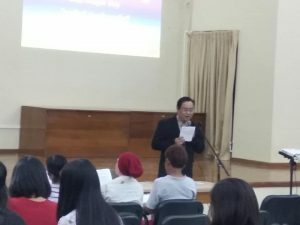 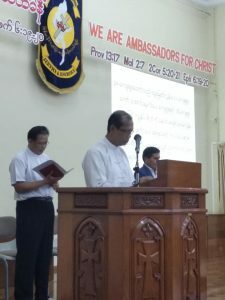 The consecration worship was led by the Women’s Department and the message was delivered by Sayama Daw May Maung Maung, advisor of the department who creatively asked the audience to throw away the works of the flesh and the keep the fruit of the spirit which were portrayed in colored pictures. 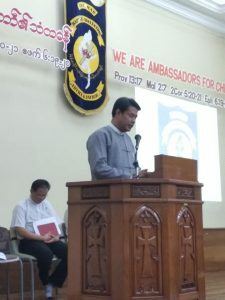 The theme of the MBC Prayer Day is “Prayer Ambassadors : the MBC staff members”.